An apple a day may keep the doctor away, but a glass of orange juice or a half of a grapefruit every day will do more to keep you from having a heart attack, medical research indicates. Studies have repeatedly shown a link between certain foods and long-term heart health, and recent research has indicated that incorporating citrus fruits into a person’s routine diet can play a key role in reducing the risk factor of certain heart ailments and cardiovascular diseases. Citrus fruits are particularly rich in antioxidants, which are thought to aid in the prevention of heart disease, and may also play a role in diminishing the risks of cancer. A study published in 2011 showed that the rate at which a person consumes citrus fruits is directly proportional to the lessening of their risk for heart disease. The study found that regular consumption of citrus fruit plays a key role in lessening the incidence of cardiovascular disease. 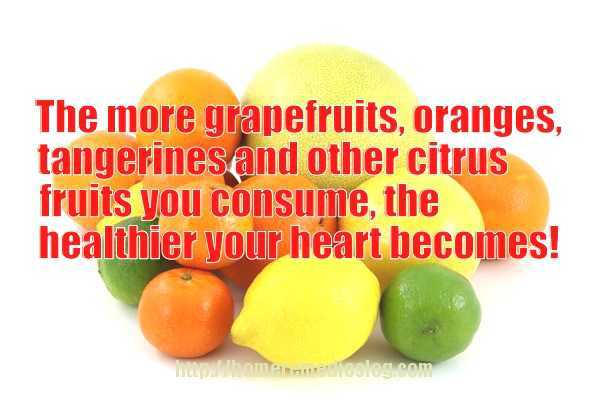 In other words, the more grapefruits, oranges, tangerines and other citrus fruits you consume, the healthier your heart becomes! And that’s not all, as citrus fruits have also been shown to contain a compound that also is thought to reduce the risk of strokes, particularly among women. The miracle compounds present in citrus fruit that provide such immense benefits have been speculated to be flavonoids, which are specific antioxidant clusters that a prevalent in citrus and have been demonstrated to have anti-inflammatory affects and help improve blood vessel function. A wide variety of fruits and vegetables contain one or more of the nearly 500 identified flavonoids, and virtually all are thought to produce positive health outcomes for those who ingest them regularly. But research has also shown that amongst all the natural remedies against heart attacks, the specific flavonoids abundant in citrus fruits have demonstrated the biggest impact in mitigating against the risk of cardiovascular diseases and heart failures. 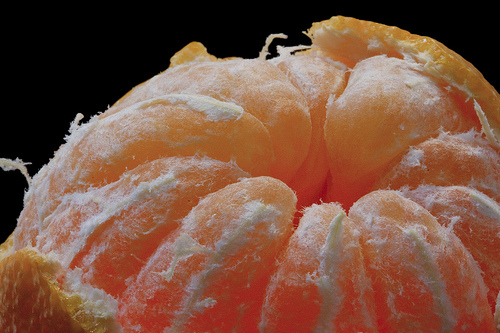 In recent years, scientists have been able to isolate the specific phytochemical compounds present in citrus fruits and study them individually in order to gain a greater understanding of how citrus aids in the prevention of heart ailments. 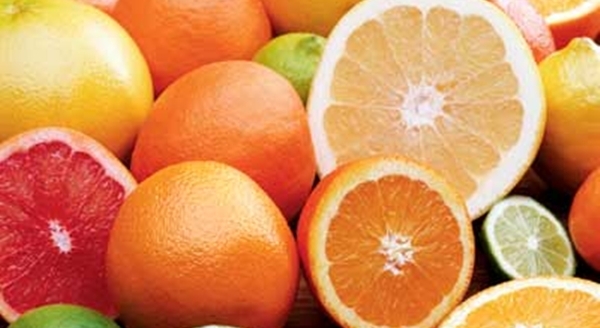 They found that the flavonoids found in citrus not only have antioxidant properties, but also contribute greatly to cell differentiation, helping the body to detoxify carcinogens and other harmful compounds that are thought to lead to negative health outcomes. A major culprit in the formulation of heart disease is low-density lipoproteins, often referred to as LDLs, or simply “bad cholesterol”. And another study showed that citrus fruits directly prevented the formulation and rise in these LDLs, even in instances where the subject had a high saturated fat diet. The bottom line in all these studies is that citrus fruits, when added to the diet in a consistent fashion, can play a major role in cardiovascular health, and help the body fight off the elements that often conspire to cause heart disease and other adverse health outcomes. So bite into a grapefruit, and have glass of fresh squeezed orange juice…your heart will thank you! 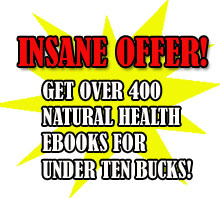 Author: Sam Foster is a health writer with a passion for running, swimming, and cycling. In between training for his next triathalon, he freelances for St. Luke’s Hospital in Cedar Rapids, Iowa, one of the region’s preeminent facilities in the diagnosis and treatment of heart disease. By Sam Foster, St. Luke’s Heart Care.